When only the finest will do…. Robbin Manuel Photography, is there for you! Robbin Manuel believes your portrait photography session is the most important investment of capturing a special event or time of your life. Your portrait photos will give you enjoyment for many years to come. Photographs document your family history for generations to come and become heirlooms for your future generations. 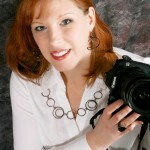 Your portrait photography needs should be a top priority during the planning process of your event. Remember that you get what you pay for, in portrait photography. Robbin believes great portrait photography should not cost a fortune. At Robbin Manuel Photography, Robbin understands your budget needs. Robbin is proud to offer payment options to help our clients achieve their photography needs. Robbin specialists in High School Senior portraits and proud to offer many High School Senior portrait sessions starting as low as $75. I’m Robbin Manuel. It’s your day and your memories – don’t risk losing them. Let me capture your memories in high quality digital photos, that you’ll treasure forever! From working as an international model, I know both photography and know which angles work best for you. I will make you comfortable and get those once in a lifetime photos that you’ll want to share with your family, friends and pass down to your children! Ask anyone who’s worked with me and they’ll tell you how easy and comfortable their day went! Robbin Manuel Photography offers high quality prints and special App for your mobile phones to easily share and enjoy your photos.